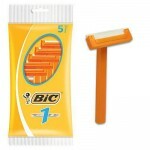 Wholesale shaving products from razor blades to shaving cream, purchase in bulk at cheap prices and save. Wholesale shave cream from natures choice in a 2 oz. can. The perfect size to travel or do men's hyg..
Bic Men's Disposable Shaver Gives a smooth and close shave for sensitive skin. Single blade for e..
Freshscent .25 oz. Shaving Cream $0.08 Each. Great for hotels, travel, or any time you need a one-time use shave cream..25oz (7.5ml) One-Time Use..
Freshscent 1.5 oz. Shave Cream $0.84 Each. Freshscent 1.5 oz Aerosol Shave Cream is an alcohol free formulation. This size is great for travel..
Freshscent 11 oz. Shave Cream $1.69 Each. Freshscent 11 oz. Aerosol Shave Cream is an alcohol free formula. The white creamy lather has a re..
Freshscent 2 oz. After Shave $0.60 Each. 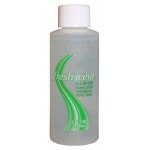 Freshscent bulk after shave is alcohol free and comes in a clear bottle with screw on lid. Great s..
Freshscent 2 oz. All-in-one Gel $0.36 Each. 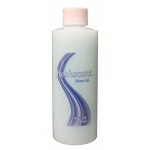 Wholesale freshscent all in one shampoo, shave gel, body wash. Bottles have foil safety seal to prev..
Wholesale Freshscent shave gel tubes in 3 ounces. The gel creates a layer of protection for your ski..
Freshscent 4 oz. Shave Gel $0.68 Each. Wholesale freshscent shave gel. Blue gel on clear bottle to let the user know how much is left. Inex..
Freshscent Shave Gel $0.40 Each. 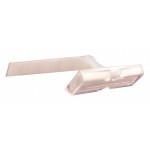 Single Blade Razor $0.10 Each. 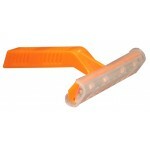 Triple Blade Razors $0.30 Each. 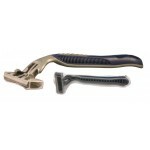 Triple Blade Razor with Lubricant for a smooth shave.Case of 500..
Twin Blade Razors $0.12 Each. 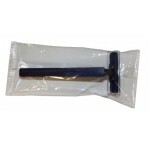 Double Blade RazorBlue bodyDouble bladeIncludes safety coverCase of 500Wholesale Hygiene Products an..